Go to Blackboard and log in. Click your name in the top right hand corner. Note the white number 1 on a red background indicating you have an update. Your Blackboard courses are listed on the left, click the module name. 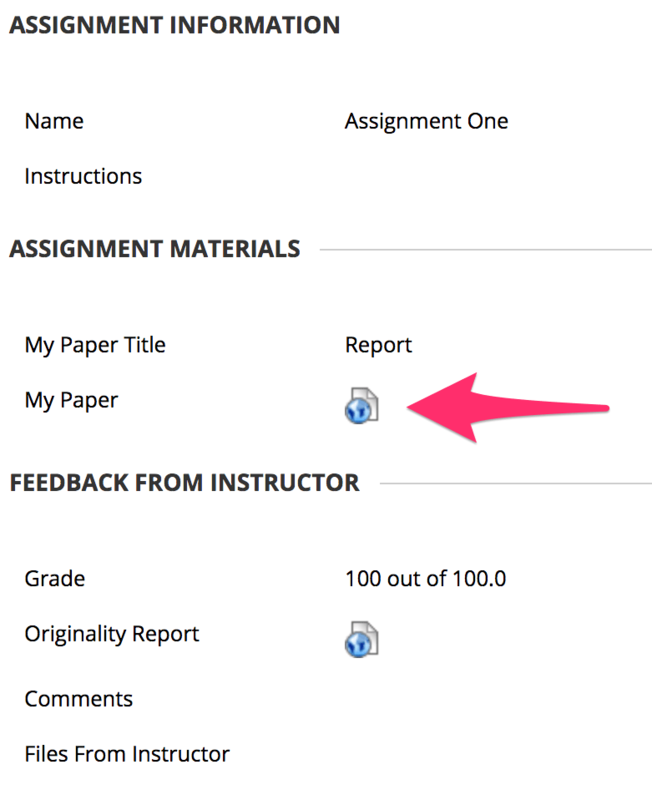 Click the icon next to My Paper to view your work in Turnitin’s Feedback Studio. 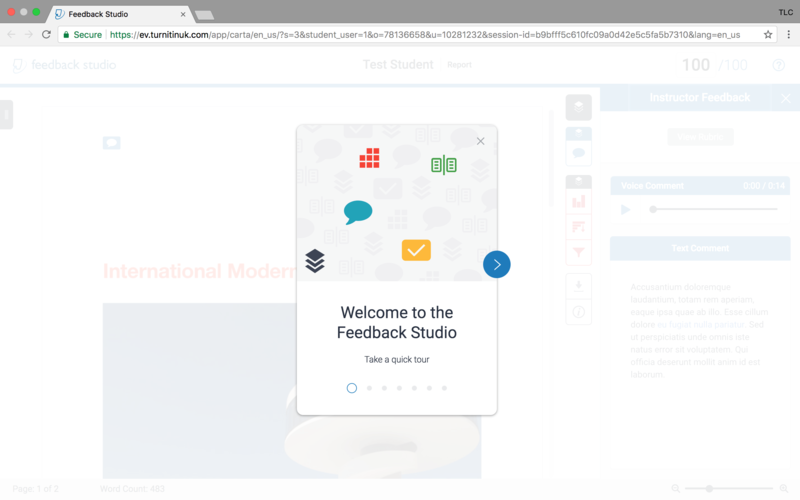 When you open the Feedback Studio for the first time, it will show you a tour of how to navigate the interface.You can also get help by clicking the question mark in the top right corner of the window.